What? Massive pop/rock festival to benefit French HIV & AIDS charity Solidarité Sida. Where? The Hippodrome de Longchamp. 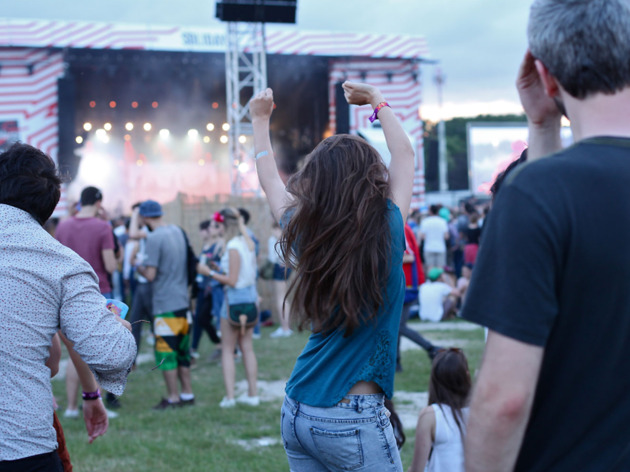 Every year for 17 years, the Solidays festival has attracted more than 50,000 people in support of the HIV & AIDS charity Solidarité Sida (in 2015, the figure was nearing 180,000 visitors) – raising a whopping €21 million since its inception. The lineup at the Hippodrome de Longchamp is usually made up of big-name, family-oriented pop and dance acts: 2017's includes The Prodigy, Diplo, La Femme, Archive, Toots and Maytals, Mac Miller, Petit Biscuit, Wax tailor, Tale of Us and more. For the full line up check here. One day passes start at €41.50, with children of 10 and under blessed with free entry. For more details and to buy tickets, click here.